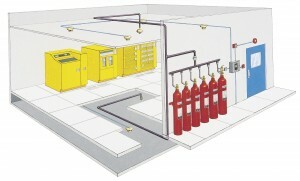 The most important thing you can do for your fire suppression system is to make sure it works at all times. State Systems, Inc. provides fire suppression system inspection and testing to keep your fire suppression system in compliance with national and local code regulations and, most importantly, to keep your facility and employees safe. We use web-based inspection reporting methods to keep track of your inspections and monitor the integrity of your system. If you need to schedule an inspection of your fire suppression system, contact us online or call 866-308-5701 to schedule your inspection today! Should our fire suppression system inspectors find any problems with your system (whether they arise from accidental, intentional damage or normal aging), we will work with you or your property manager to quickly and professionally repair the problem. Inspections not only keep your building up to code, they protect your life and property. What Systems Can We Inspect? To schedule testing service or regular inspection, contact the professionals at State Systems, Inc.